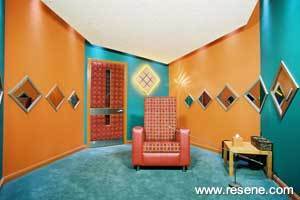 Resene paints and colours have appeared in a wide variety of television shows over the last few years. With an increasing number of requests for information on the products and colours used, we have introduced this section of our website listing the colours used in key television programmes. If you are seeking information on Resene products or colours that are not available in this section, please contact the show producer direct. If you have seen a Resene colour in a magazine or in printed form, please take it into a Resene ColorShop or Reseller. They can create a special colour match to the pictured colour for you. Colours are representative only. We recommend you test your colour choices using Resene testpots.